Opposition slams Netanyahu, after 21 MKs send him a letter clarifying that a construction freeze is out of the question. 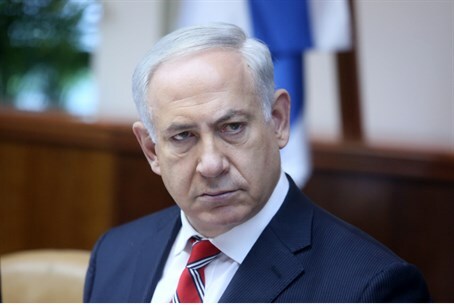 The opposition had harsh criticism for Prime Minister Binyamin Netanyahu on Thursday, claiming he was not a true leader and that he was being ruled by the “extremists”. The criticism came after 21 Knesset Members, all members of the Land of Israel Lobby, sent a sharp and concise message to Netanyahu, that another freeze on construction for Jews in Judea and Samaria is out of the question. "Netanyahu is prime minister in name only," said opposition leader MK Yitzchak Herzog (Labor). "The real Prime Ministers are deputy ministers Elkin, Danon and Akunis from the hawkish department in the Likud,” he charged. The letter from the Land of Israel Lobby came following an Army Radio report on Wednesday, which said that United States has demanded that Israel agree to an “informal” freeze of settlement activity outside the large settlement blocs. The freeze would go into effect immediately after the signing of a framework agreement. Israel will have to commit not to approve plans for housing, or market housing units, outside the large Jewish population concentrations in Judea and Samaria, according to the report. Construction and Housing Minister Uri Ariel (Jewish Home) called the notion of a building freeze “a redundant, deluded idea.” The minister pointed out that the last building freeze – which Netanyahu declared in 2009 – not only did not advance peace with the Palestinian Authority (PA) in any way but may have worsened the situation.